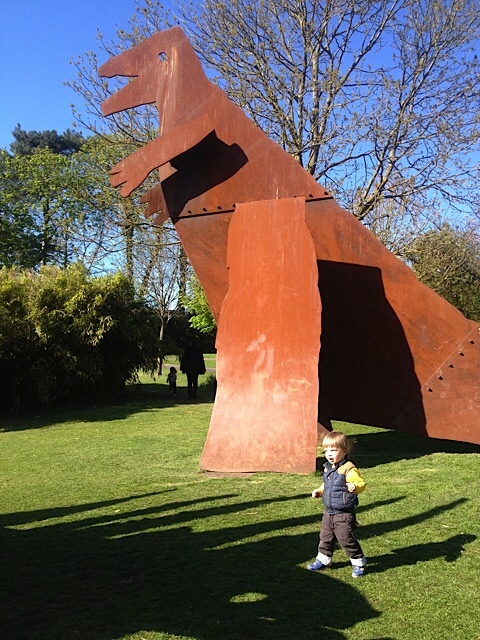 Dinosaur Roar has become very popular with young dinosaur enthusiasts. The bold and beautiful illustrations based on real (and not so real!) 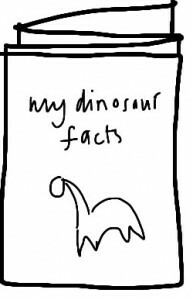 dinosaurs give lots to talk about and enjoy. The text is simple but memorable with a strong rhyme and rhythm. It reads like a poem and children will enjoy joining in. 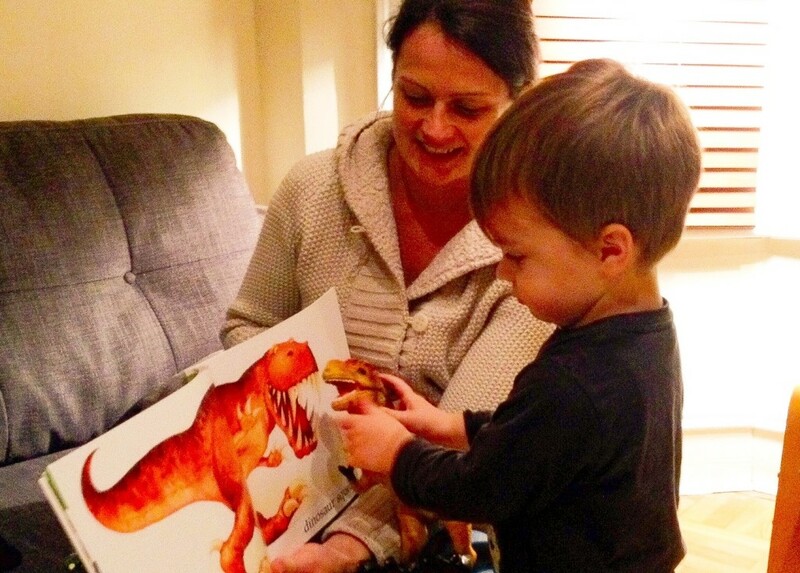 Read the story aloud, allowing children to talk about the illustrations when they want to. When children have heard the story more than once they will be confident to join in as you read. 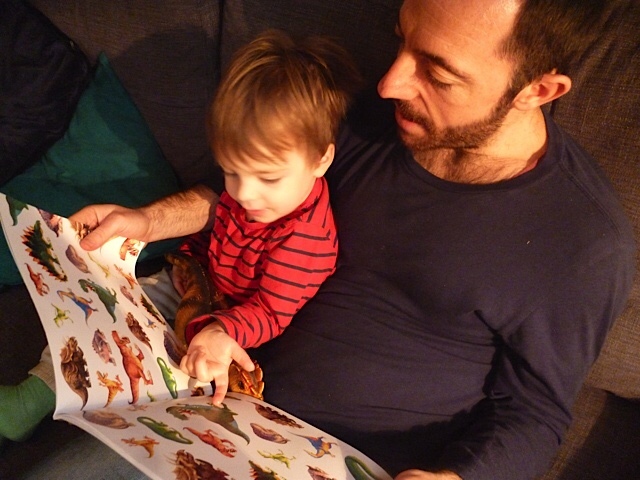 They might read the book at the same time as you or you could take turns like a call and response; for example one of you reading ‘dinosaur roar’ while the other reads ‘dinosaur squeak’. 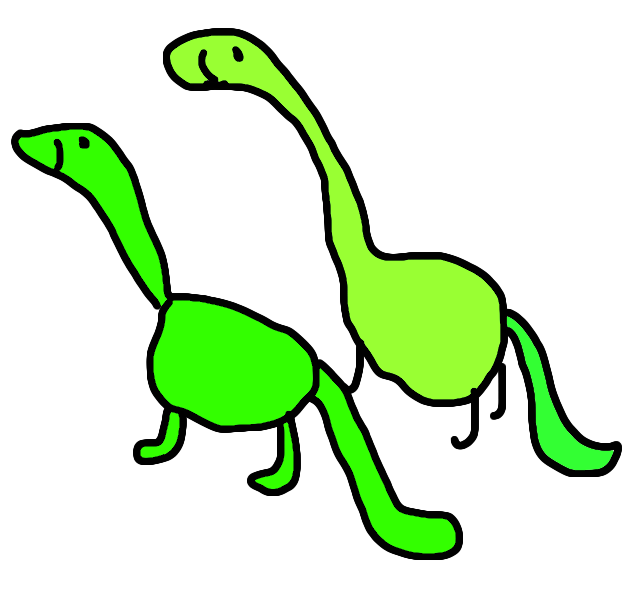 Read the story together and clap the rhythm of the words at the same time (eg three claps for din-o-saur). Children might like to beat the rhythm using a wooden spoon on a saucepan or on a drum or other toy musical instrument if you have one. 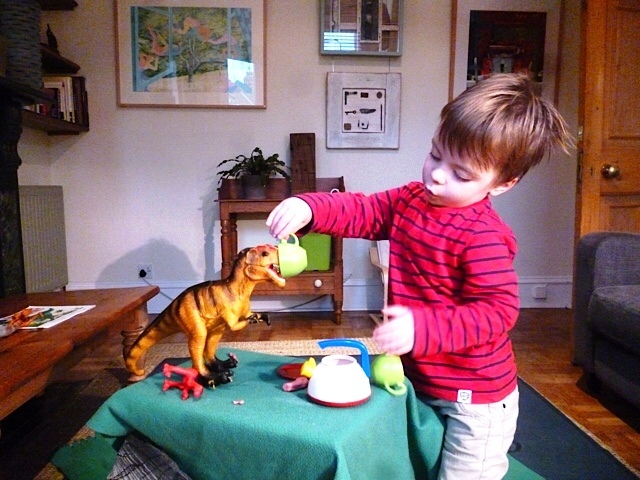 Talk about the different dinosaurs; which dinosaur do children like best? 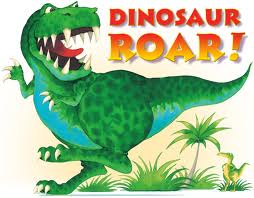 Which dinosaur do children think is the biggest,the smallest, the fastest or the scariest? Count the dinosaurs on the end papers; how many green dinosaurs are there? 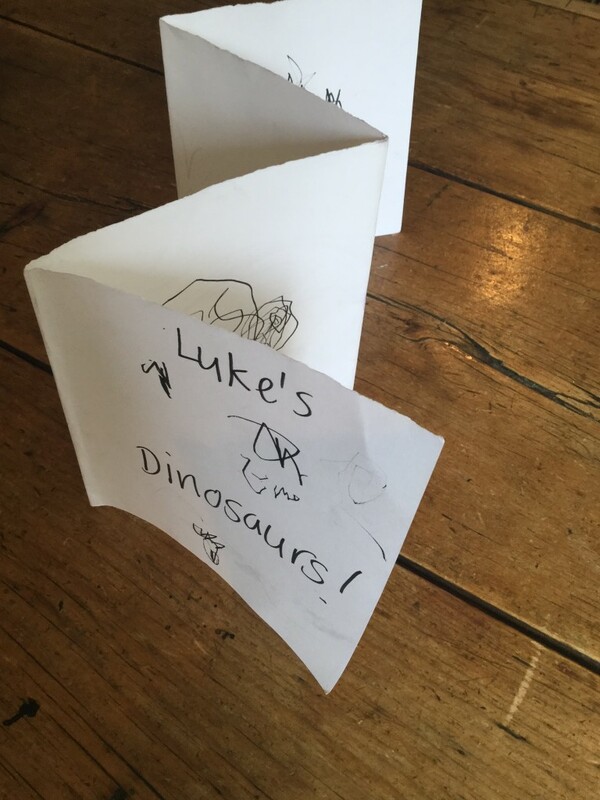 Make a mini zig-zag book for your child to draw a different dinosaur on each page. 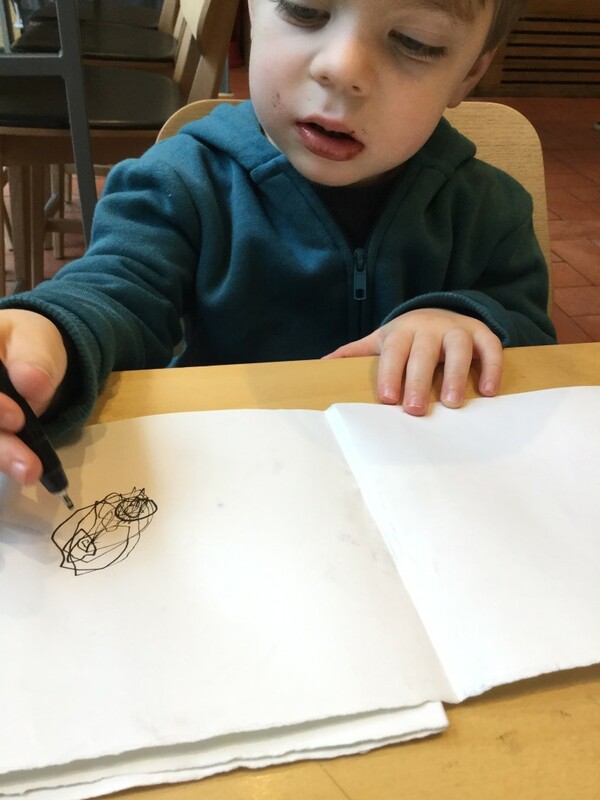 Your child can have a go at writing a caption for each picture or tell you what to write. Make up some coloured playdough so that children can create their own model dinosaur. 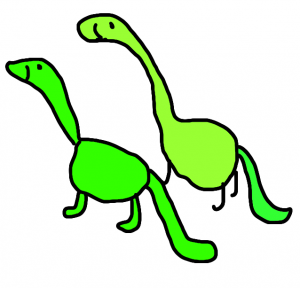 Visit Paul Stickland’s website to download free dinosaur templates here.